Stardom has never been easier to get in this era of ever integrating world. All you need is a gimmick and a recorder. And before you know it, you’ve become an overnight sensation. 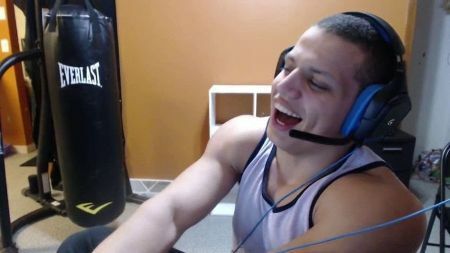 One such name is Tyler Steinkamp, also known as Tyler1 who is recently known to be making headlines from Twitch through his rather dreadful yet competitive gameplay in the virtual combat podium, League of Legends(LoL). Well, we could have jumped straight to Tyler’s love diary but in this case, we thought of giving you a little heads up for a lot of notoriety to come along. Finally popping out the question, Tyler does have a girlfriend named Macaiyla, an up and coming Instagram model from the town of Colonie in Albany, New York. Tyler and Macaiyla first met at Twitchcon2016 and started dating after some weeks. Given their young age; Tyler being 23 and Macaiyla 19 wouldn’t quite expect any drama from this early lovebirds. But, watch out people you’re in for a ride. Otherwise seen as adorable love puppies, Tyler and Macaiyla's relationship is actually known to have full of ‘how do they even get along?’ moments. They seem to get on well sometimes and other times, Tyler would be yelling abusive insults at Macaiyla on his live stream videos. The gamer and the model are often linked with controversies because of Tyler’s aggressive behavior, racist remarks, game cheating as well as him berating Macaiyla and offensive jokes about disabled people. Tyler doesn’t hesitate to bring these remarks on even while he's live streaming on Twitch. Standalone, Macaiyla also has a knack of her own for wrangling herself in a feud with media every now and then. She was reportedly suspended from Twitter not once but twice following her tweet about ‘bombing a school. But according to her, it was a texting prank in the first place. Either it’s because ‘birds of a feather flock together' or Macaiyla has her own sense of humor. She nevertheless has shown that she is of no less than her boyfriend when it comes to razzmatazz her fans and the social media community alike. As from Tyler, time and again, he is also doing his part by flashing out several images of a scantily-clad Macaiyla on his eventual airing videos because of which even some developers overseeing the game have now considered it as insanity to the league of legends community. By April 2016, Tyler’s toxic behavior was at its peak. The bans on his previous accounts seemed not to dissuade him as on a contrary his fellowship continued to soar even higher. Tyler's antics were taken by many as utterly disrespectful and uncommon even by the standards of League of Legends which itself became famous for its toxicity. This led the riot games, the developer in command of LoL to take severe punitive action against Tyler. The riot then instituted a ‘Ban on Sight' order against Tyler which ensured that any account owned/run by Tyler instantly to be restricted. This outlawing of Tyler’s accounts saw the split of the lovers of eSports in two. Some thought it was appropriate in order to restore rationality to the gaming community while Tyler's loyal fans thought the measure was too bleak. 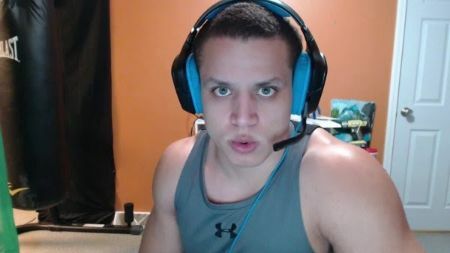 Subsequently, Tyler later declared that he was making efforts towards reforming his annoying behavior and then much to his fans demands, the riot reconsidered Tyler to board again on Twitch on January 5, 2018, .B But this time it was only as probation rather than resuming Tyler officially. No matter how much ever people might loathe it, they all crave for scandals and drama. And this was very much the case with Tyler as when he returned on streaming amid his conflict in the eSports, his first post-ban broadcast garnered over 300,000 viewers in 20 minutes. This stream broke twitch’s record for most concurrent viewers on a non-event. Along with that, Tyler also seemed to have got a leash over his previous noxious personality for the time being since his typical notoriousness was noticeably absent in his first broadcast after the ban. Whether he will be back in his zone of foul mouth or not, it’s only up to the matter of time, but for what it’s worth Tyler can rest assured that he will always have his major supporters in his corner no matter his dynamics with the disciplinary committee. Tyler was born on March 6, 1995, in Missouri, USA. Tyler stands at 5 ft 7 inches in height. Tyler studied computer science at Central Methodist University before withdrawing his focus in a streaming career. Due to his verbal abuses, Tyler was muted on overwatch for a period of 10 years. Tyler’s net worth is around $750k.